Beautiful Top Floor Unit in The Gables +55 Development! This Unit has been Meticulously Cared for and it Shows! The Kitchen has Rich Gleaming Oak Cabinets, the Bathrooms have been both Updated and there is Vinyl Plank Flooring throughout. The Enclosed Deck provides an Excellent Space to Enjoy the Westerly Views! 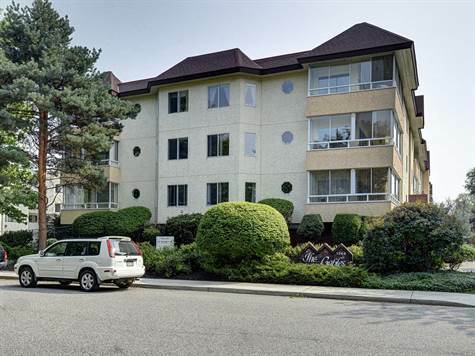 The Gables is Centrally Located to Shopping, Transit and Recreation. This Condo is sure to Impress and is a Wonderful Place to call home!